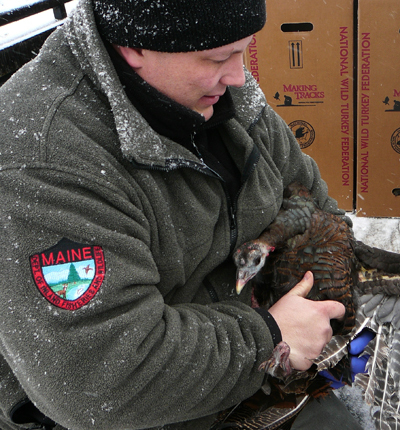 Bob Cordes is an assistant regional wildlife biologist with the Maine Department of Inland Fisheries & Wildlife, and collaborates with Associate Professor of Wildlife Ecology Rod Williams to provide podcast listeners with answers to common and not-so-common wildlife questions and concerns. Cordes started working with Got Nature podcasts in the episode “Wildlife Pictures Worth a Thousand Words“, where he is interviewed by Dr. Williams about how to use trail cameras to view wildlife. More recently, Cordes has been involved with the weekly “Boiler Up! for Wildlife” series. Check out the Got Nature podcasts featuring Bob Cordes below to learn more from his expertise in wildlife biology. Boiler Up! for Wildlife: What is Digging up my Yard? The Got Nature podcast page has these and more informative podcasts available to listen to for free, and they are also available through iTunes.